It seems some people never learn. Or they do but just don’t care that much. Last year, Kenyan athlete Asbel Kiprop was swimming in controversy after another, especially after a salacious video emerged showing the three time 1500m World Champion kissing and groping a half naked female companion in his car. The video angered many Kenyans who pressured the married champion to apologize. It seems in 2019, Kenyans might have to endure more from Kiprop. He recently posted yet another video with a female companion enjoying a meal though this one wasn’t raunchy as the first one. 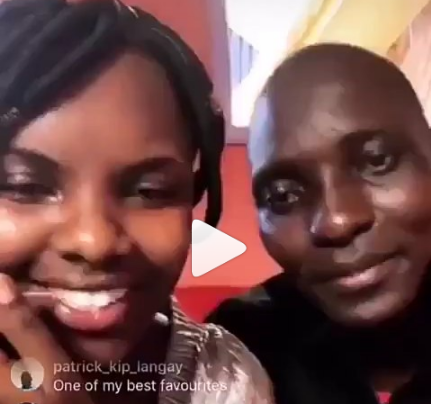 The video, which was posted on Instagram, has the father of two and the young lady greet their fans on social media, nothing much, but it for sure angered some who urged him to stop since he was a married man.